Trade shows offer exhibitors amazing opportunities to meet potential customers face-to-face, to showcase their product, to network with possible complementary companies, and to have wide media exposure. 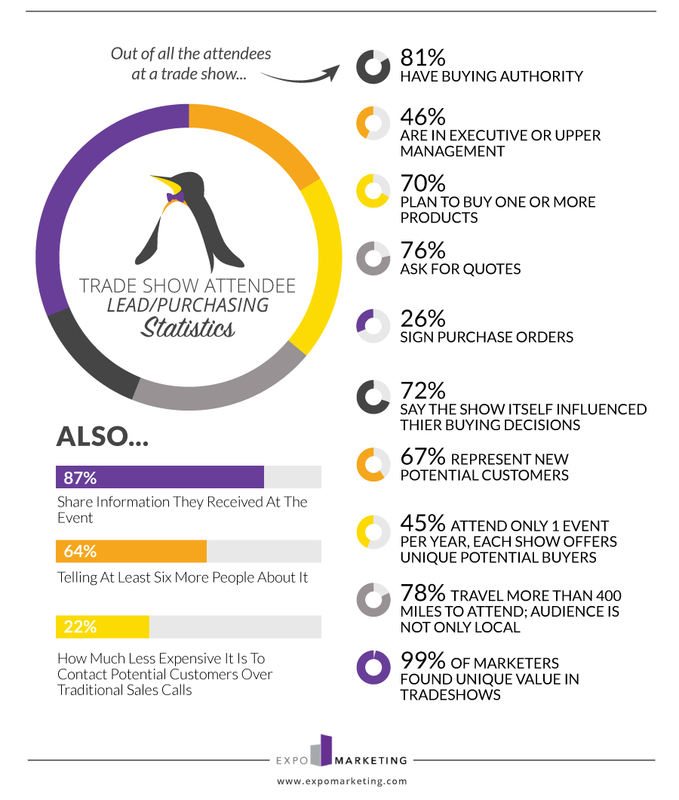 If that's not enough, see some of the stats we gathered and decide for yourself if trade shows are the right strategy for you! 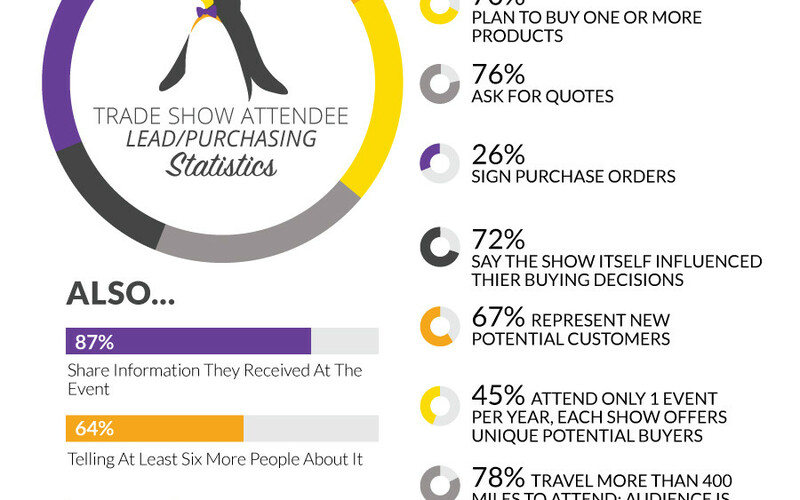 As the infographic mentions, 99% of marketers found unique value in trade shows. This includes but it's not limited to: the ability to meet large numbers of potential clients at the same time, the face-to-face meetings with them, and the ability to meet face-to-face with many other players: suppliers, potential business partners, retailers, and more. Getting your next trade show ready? Download our free budget checklist and plan your exhibit with confidence!